Kronos is the leader in workforce management software and has a serious mission to improve productivity. 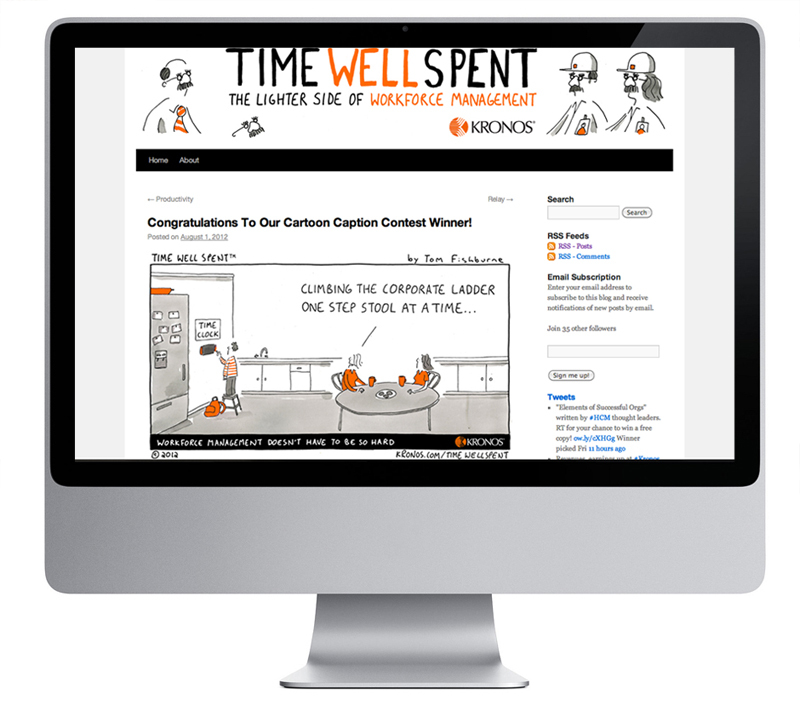 In August 2010, we launched a weekly cartoon series called “Time Well Spent” to show the lighter side of workforce management. 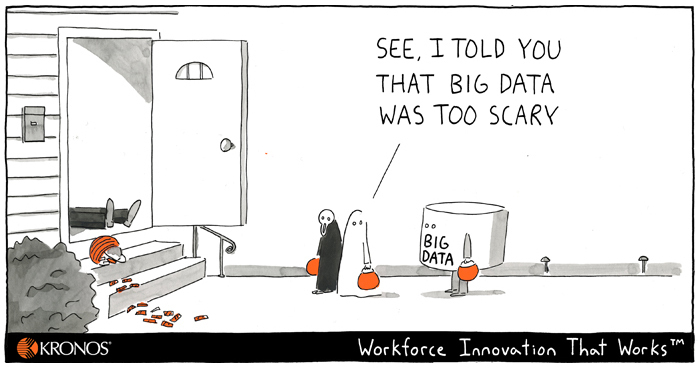 Each cartoon reinforces Kronos’ brand position that “workforce management doesn’t have to be so hard”. But, more importantly, it allows Kronos to talk to its customers each and every week. The cartoons are about the industry, not the company, so they aren’t seen as advertising. They allow Kronos to host and engage in a conversation. Since launch, the cartoon has grown virally with a hard-to-reach target audience and is a regular feature of leading HR publications including HR.com. A caption contest recently generated 500 entries. Kronos is using the cartoons to complement their PR, social media, and sales presentations in their markets around the world.